What does solidarity mean to activists in moments when radical actions for resistance are on the ebb and project-based anti-poverty interventions such as aid, welfare, and care have become the dominant approaches to the poor? In this presentation, I explore the globalization of South Korean community activism amidst the rearrangement of the anti-poverty agenda among Asian countries, as well as the shifting political and social economy within the nation. My emphasis is on showing how South Korean activists have not so much abandoned the seemingly anachronistic slogan of solidarity as tried to reinterpret and revitalize it by remapping poor urban neighborhoods in Asian countries as locations of reflexivity (seong-chal-ui hyeon-jang ). With an eye to CO (community organization) training practices coordinated by grassroots activists, I demonstrate that the prevalence of reflexivity as an ethics of solidarity indicates an affective turn in activism, in which affective dialogues for sharing social suffering outweigh a teleological mission to complete a goal. 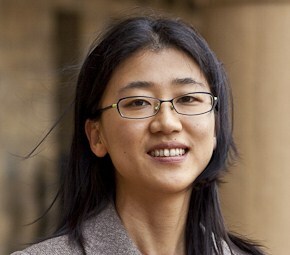 Mun Young Cho is an associate professor in the Department of Cultural Anthropology at Yonsei University, South Korea. Her research focuses on poverty, labor, activism, development, and youth in China and South Korea. She is the author of the book The Specter of The People: Urban Poverty in Northeast China (Cornell University Press, 2013), the co-author of Jeong-chi-ui im-gye, gong-gong-seong-ui [Political Critique, Public Adventure] (2014) and 'Hell Joseon' In and Out (2017), and the translator of Bun-bae-jeong-chi-ui [Era of Divided Politics] (2017).